Because the base of the skull has proven to be one of the most challenging regions of the body to access, treatment options were once limited for patients with tumors or lesions in this area. However, with recent advancements and breakthroughs in treatment, patients with skull base tumors now have an array of surgical options that can help them return to leading a normal and active life. 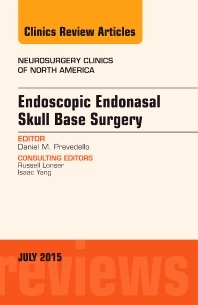 The Endoscopic Endonasal Approach (EEA) is an innovative surgical technique used to remove brain tumors and lesions—some as large as softballs—all through the nose.